The truth is that birthday is very special days to be celebrated. But the 18th birthday is among the most critical days in someone’s life. The day you transition from being seen as young to a graduated adult. On to this anticipation, you could be confused and of course, want the routine of celebration at home to continue to be so or feel something different. It was so normal back then, friends and family gathering with you at your house. To celebrate and gift you. To wait for mom’s best cooking and the various snacks was among the most enjoyable part of it. This is was all gone now. From now on, you want something different and unique from what was. Perhaps planned by renowned event planners. Who will select your 18th birthday party venue? You must have a picture of what you want. Either at a place away from home or within the home but everything is done differently. You are budgeting for all these remember with your parent’s finances. So you have to consult them. What you do if they rejected your budget? Forget about the celebration? No think an alternative. If the request for a night out party is granted by mom then it is a party. A Great celebration. You can decide to invite most of your friends and family members for a party in the backyard home garden. This would be a great idea and make sure it a completely different style from what your friend has had before. You can opt for an event planner to see and build a tent and manage everything to run smoothly until the end. Plan favorite cocktails are on the drinks menu and served. Bring in a DJ and let your friends feel free as they dance. 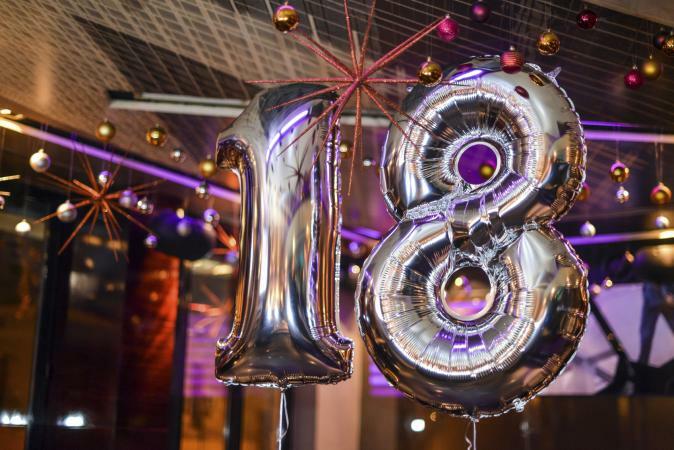 You can celebrate your 18th Birthday party in Nightclub style! This will like your first party. You can consider booking a private area for all your friends. Get in place the favorite rinks to your tables. This could go night long or for a short time in the night. Be careful not to get yourself engaged in drinking. You are 18 years once in your life. Make this special day a day well spent as you move on to the new phase in your life. Pick favorite 18th birthday venues with some good treatment for someone like you. If it is music or dance that you need. Go for it to the fullest. This entry was posted in Uncategorized on July 19, 2018 by venue.